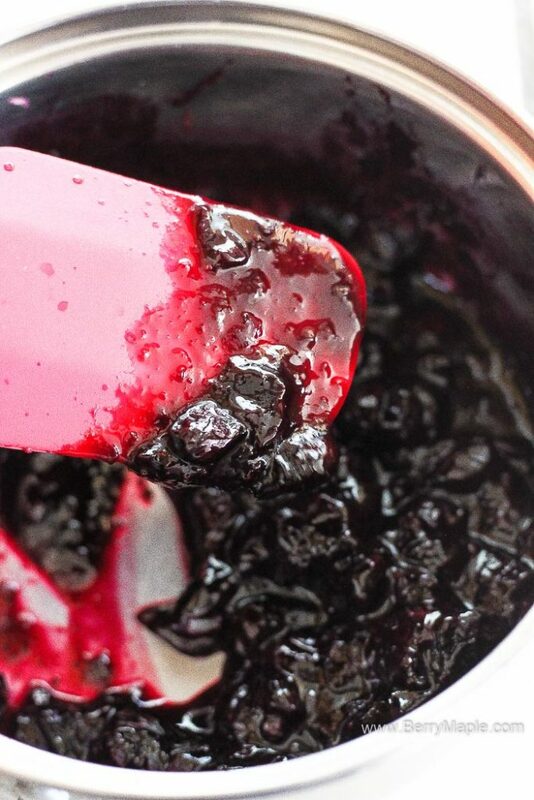 Tangy and thick, zesty and sweet- try this easy blueberry sauce over your pancakes or waffles! 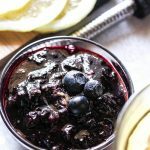 Blueberries are in season and there is no better time then now to make some easy 3 ingredient blueberry sauce. It all came from the same lemon ,from a 30 year old lemon tree from my neighbors yard. What a gorgeous tree! 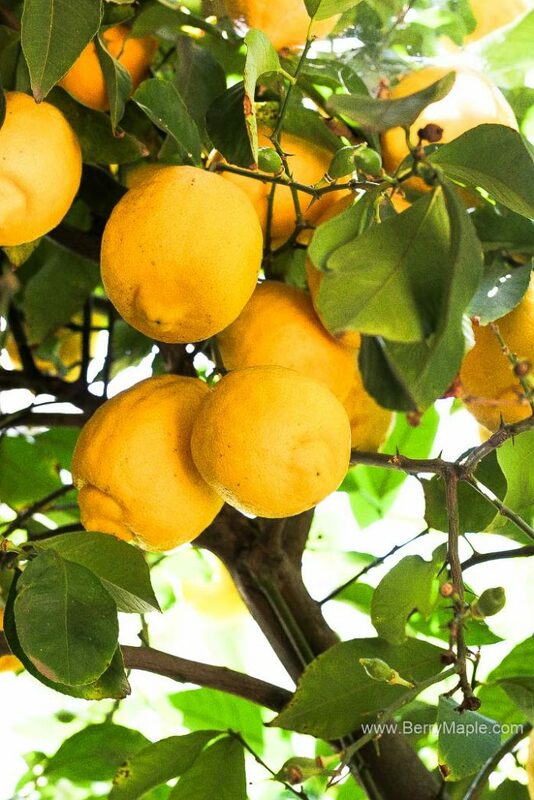 We are lucky to have fresh lemons every day for our tea. 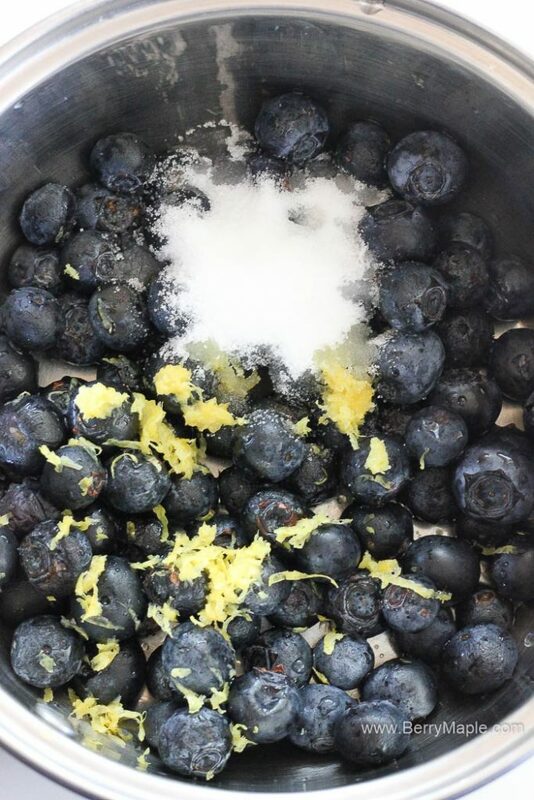 Blueberries are also locally grown and organic. Every year we go to u-pick farm to pick those plump and juicy blueberries. You can make AMAZING popsicles with them or delicious butter muffins! Please try this simple but fantastic recipe and let me know what do you think! 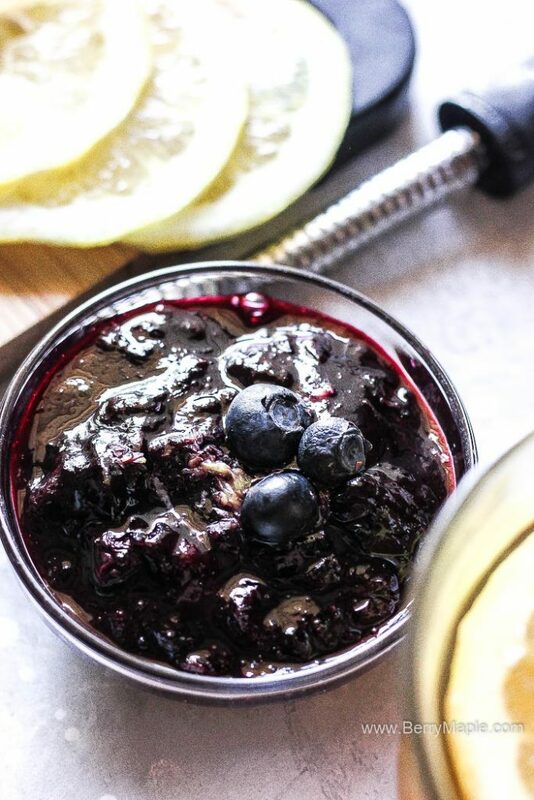 Easy, light, aromatic and absolutely delicious blueberry sauce made with just 3 ingredients! Pour it over your pancakes or waffles. Or just eat it with the spoon! 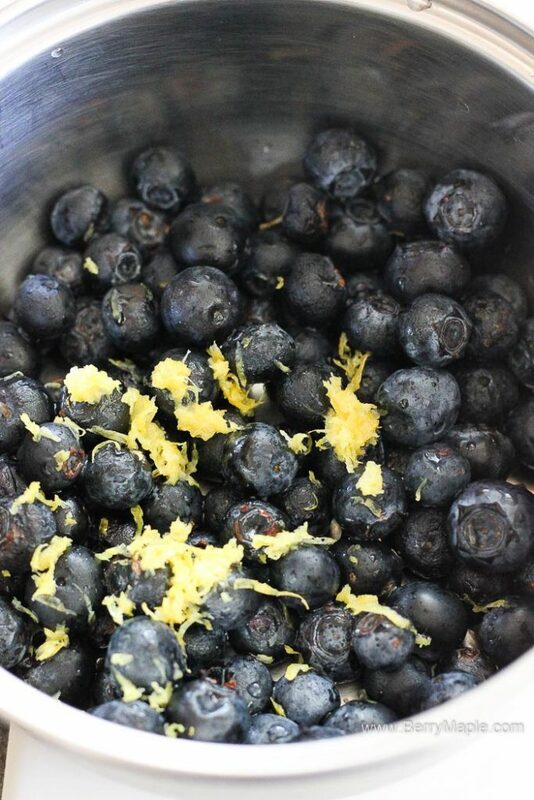 Wash blueberries and place them in the small pot with sugar, lemon zest and lemon juice. Cook over medium heat for about 20-25 minutes, until thickened. Good cold or warm! Please double or triple the recipe for more people.